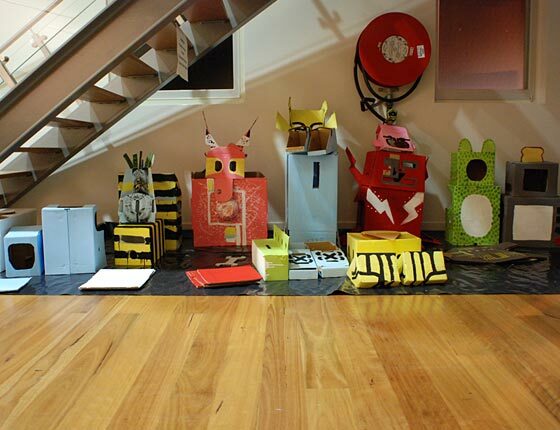 Robox - Robot Cardboard Box was conceived for Holroyd Council as part of a family festival day. 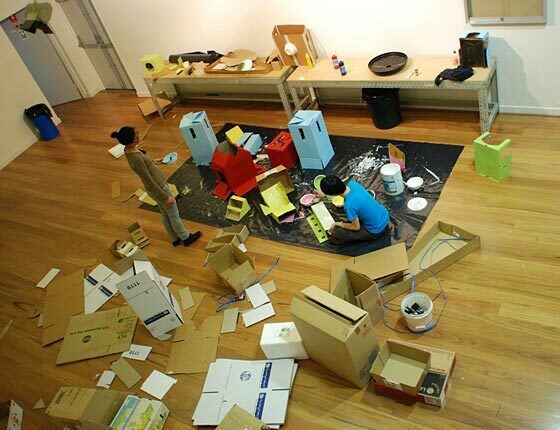 We often play with discarded boxes as kids, playing house in the large fridge boxes our parents threw out. 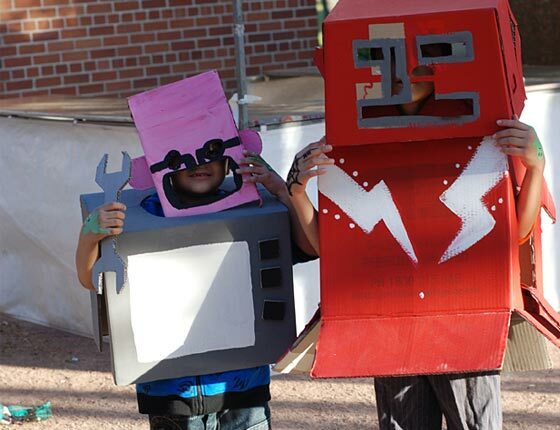 We made a variety of robot body suits for kids to wear and walk around in. 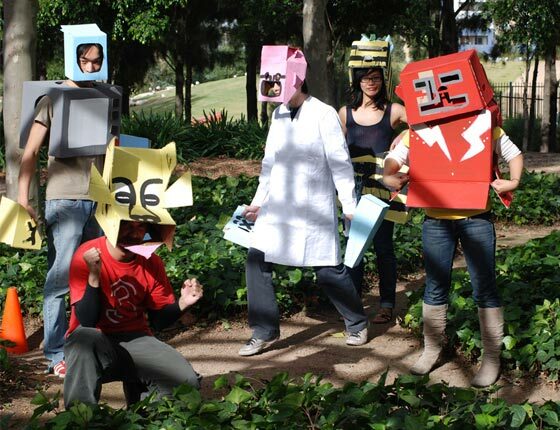 They were so popular that a few went missing because some of the kids took them home.